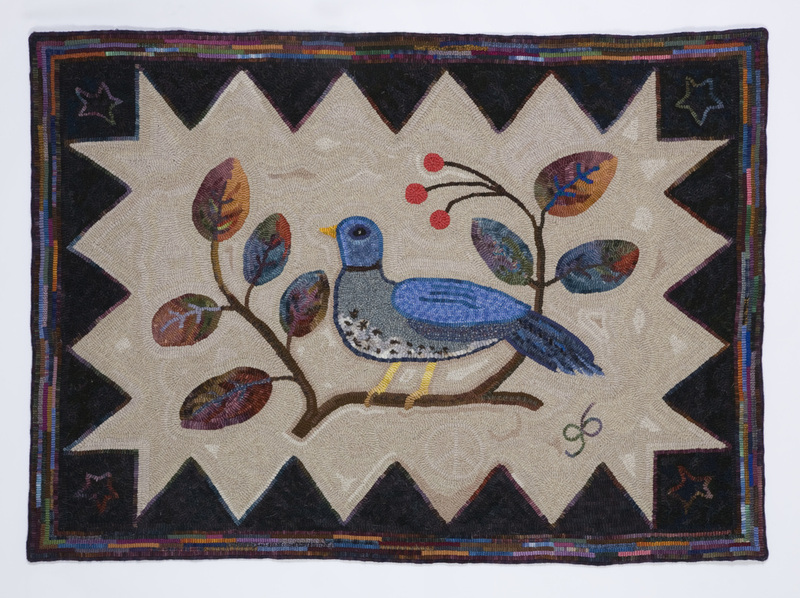 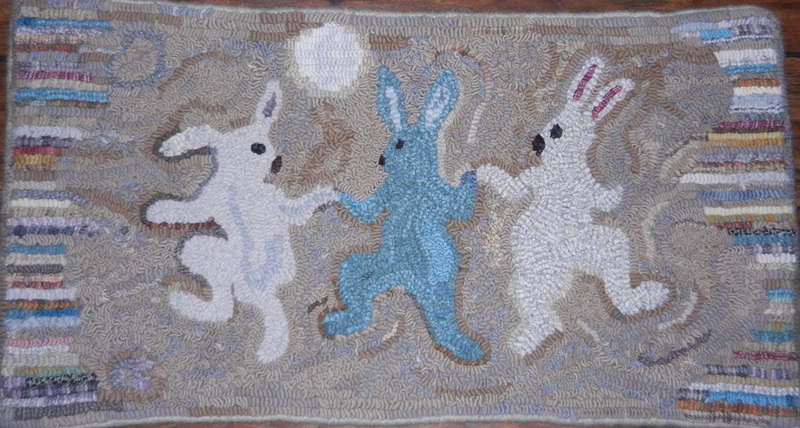 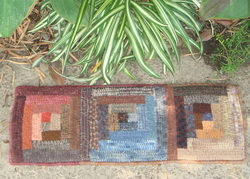 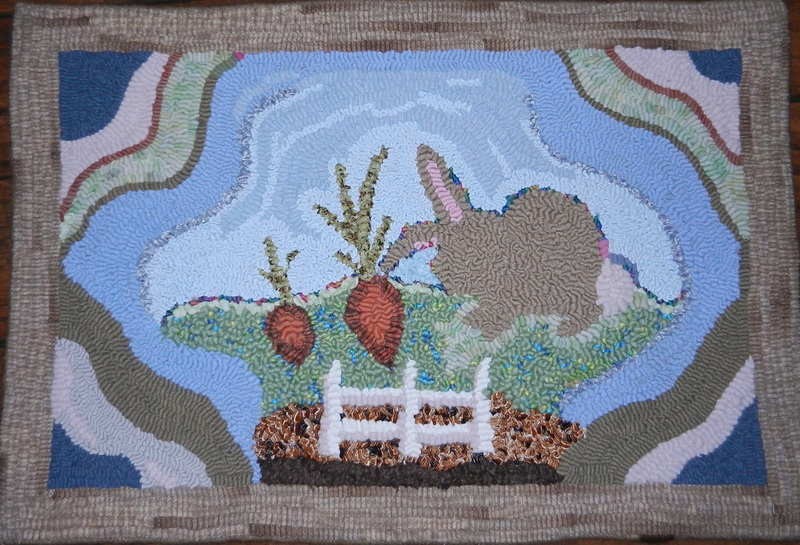 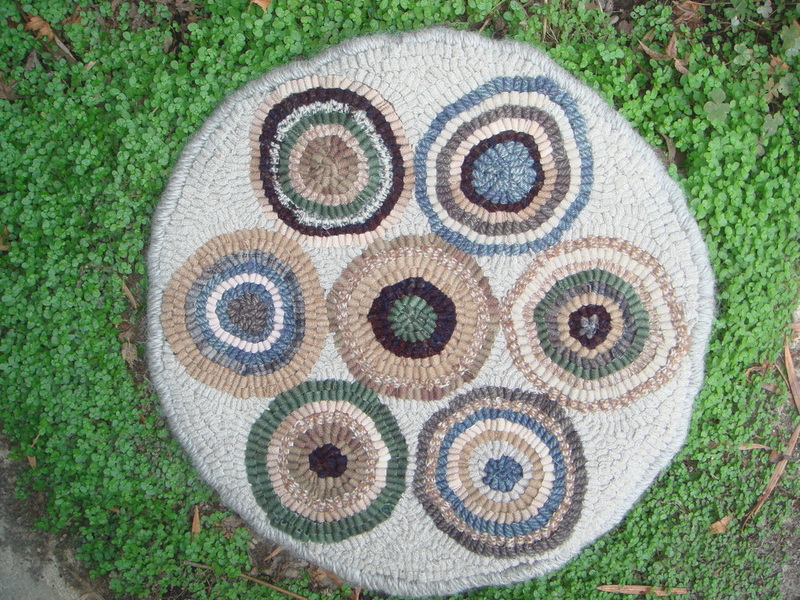 Courting Ducks, Adapted from an antique rug. 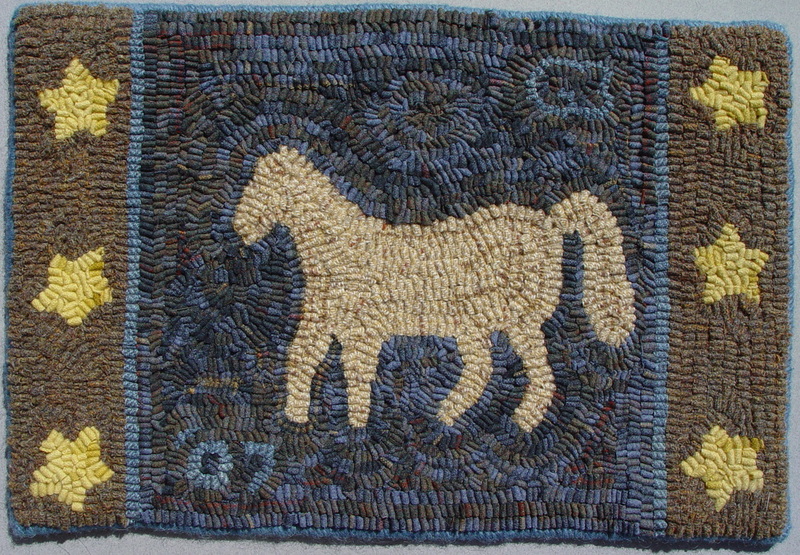 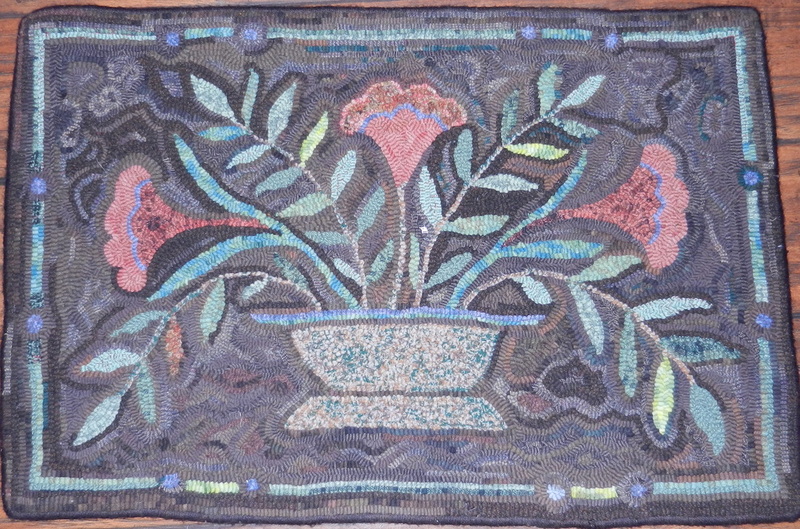 Adapted from an antique rug, maker unknown. 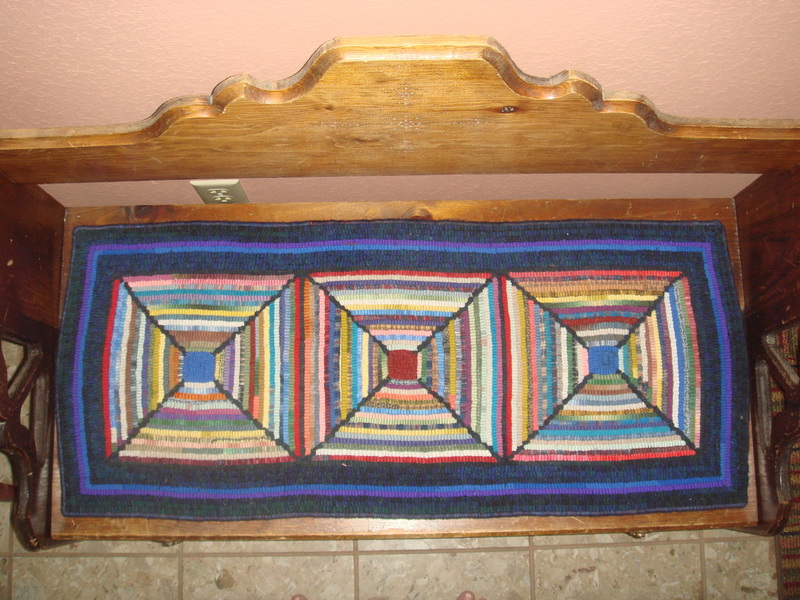 After staining with black walnut crystals.